By who? Oh yeah - ME. 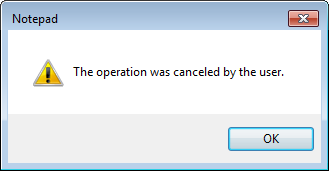 I always wondered what clicking that 'Cancel' button would do.